This month, Cambridge University Press (CUP) published brand new editions of their NRSV Reference Bible with Apocrypha. Since the late 1990’s, CUP has occasionally republished this edition, with some results better than others. The most premium one they offered came in a French Morroco leather cover. Those of you who have either held or seen the various versions of this edition (1996,2007) know well that the quality was not always the same. While the content (inside the cover) was the same, the leather and paper quality was not. Now to be perfectly fair, even with that criticism, the CUP NRSVs were still the best premium editions on the market that a Catholic could utilize, due to the inclusion of the Deuterocanonical/Apocryphal books. The only bibles that were even close to it were the Douay and Knox bibles being published by our friends at BaroniusPress. But even Baronius Press only published hardcover bibles, which were then covered in (a very good) bonded leather. CUP, on the other hand, was providing flexible Morroco leather editions, among others. Skip ahead to 2018 and you will see that CUP has clearly raised the bar with the publication of these new editions of their NRSV Reference Bibles. 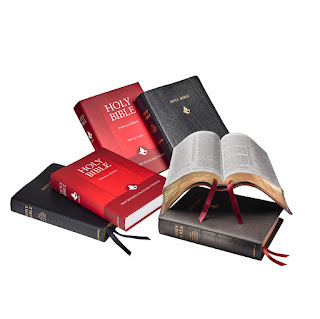 Over the next couple of posts I hope to share with you why I think these editions are the leading premium bibles on the market today which can be utilized by Catholics. I will be primarily referencing the goatskin edition, though occasionally I will include the hardcover one as well. The NRSV Reference Bible with Apocrypha is also available in French Morocco leather. So, before going into the premium elements of the goatskin edition (the external elements so to speak), I want to begin by looking at the content which is found in the 1504 pages of this reference bible. Over the years, I have grown to prefer having a bible without notes or commentary. 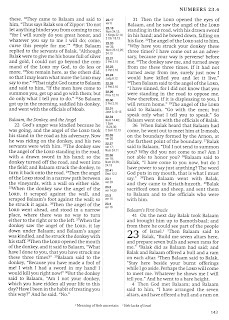 Now I am not saying that there isn’t a place for study bibles, but I have grown to desire a bible with a clean page, with only the most basic extras like textual notes and cross-references. I also just don’t have the space to carry around a bulky bible with me to a class I am teaching. So, then, what I am looking for is a portable, though non-compact, bible that is pleasing to read from while also containing the basic necessities for leading or taking part in a bible study or class. The CUP NRSV Reference Bible with Apocrypha excels in meeting this need. How so? Well, you will find in this edition the standard (American) version of the NRSV w/apocrypha, which is a relief to those of you who dislike the Anglicised version. The page size is 8 ½ by 6 inches, printed (and bound) in Italy by L.E.G.O SPA (Vincenza). The print is in 9 point Swift on 37gsm white “bible” paper. 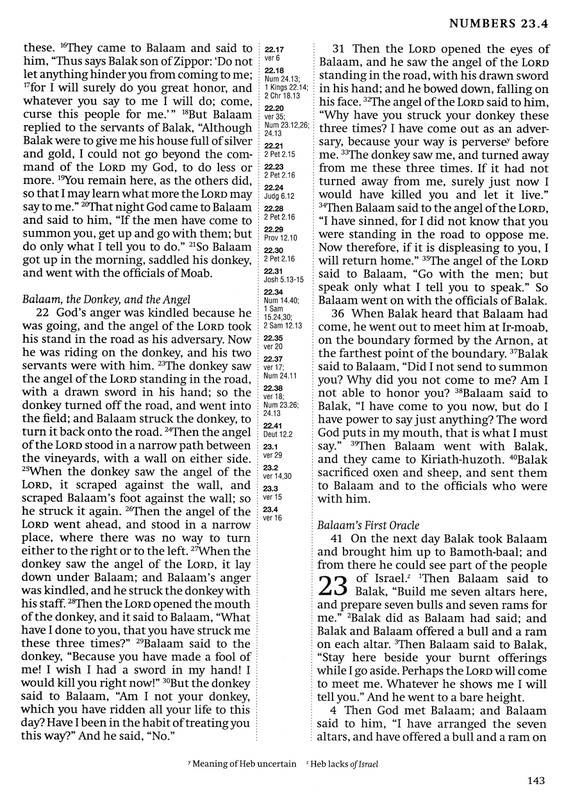 The print, itself, is sharp and very clear, with paragraph headings properly italicized to provide a good contrast with the biblical text. Each page is “line matched” or “line on line” meaning that one line exactly matches the position of the text on the reverse side of the paper. If you have never been aware of “line matching” I would encourage you to take out a few of your favorite bibles and compare them. You will notice that “line matched” bibles reduce most issues relating to bleed-through, even if the paper is relatively thin. With the center-column cross-references and the textual notes placed at the bottom, the NRSV Reference Bible with Apocrypha is a pleasure to read and teach from. In regards to the maps, this edition contains a new set of high quality color maps, 15 of them in all. These cover the entire biblical history, including one for the Greek kingdoms after Alexander. Those of you who had the earlier editions of this bible will remember that there were three black and white, gazetter, maps that were meant to go with the Apocrypha section. Fortunately, they did not get rid of them. 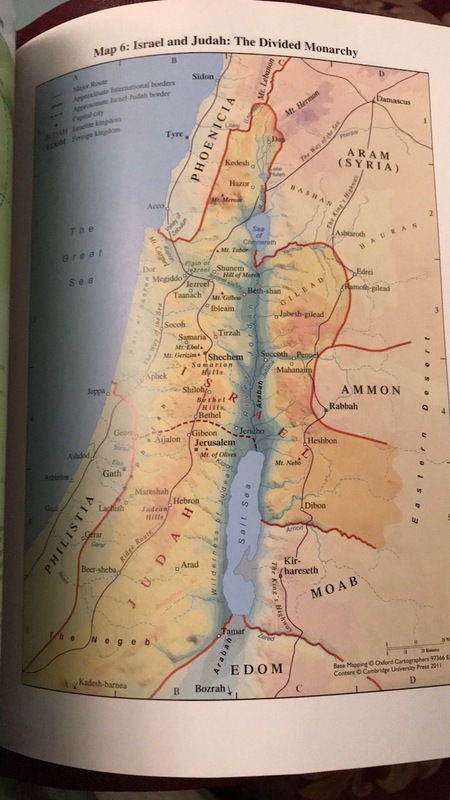 Instead of placing them before the 15 full color maps, they are now placed in the apocrypha section of the biblical text. 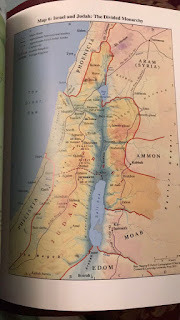 This means you have, in total, four maps dedicated to the period of biblical history associated with the Deuterocanonical books. That is far more than pretty much every Catholic bible available today. In future posts, I will look at the cover materials, ribbons, gold-gilding, and binding. I want to thank Cambridge University Press for providing both the goatskin and hardcover editions of the NRSV Reference Bible with Apocrypha in exchange for an honest review. Tim, Glory to Jesus Christ! Glory to Him forever! Does the Cambridge NRSV contain the variant texts, like the Oxford? I agree, I do not care for footnotes that are commentary. They become distracting and annoying. Yes. It maintains the textual notes. Are the cross references updated from the previous edition? Are there now cross references to the Apocrypha in the OT or NT? Does the Apocrypha contain cross references? I love fact that the cross-references are not superscripted into the text. If only all bibles followed this practice! Thank you for asking your questions. Because I am Catholic and patristic, I would love I if they had cross references to the Apocrypha in both the Old and New Testament. I also think you are the oldest commenter on Tim's blog, better put, the most long standing. I have always enjoyed your thoughtful, charitable, prudent, and erudite comments. This is the soon-to-be old edition of the NRSV. I wonder if they will update the text in the premium runs, eventually. My guess is yes. Hopefully enough people will buy this offering so that they will consider doing whatever Revised NRSV in the same editions as these. The fact that this is printed by L.E.G.O. SPA is a pleasant surprise. I have (non-bible) books printed by them and they are very well made. I'm hoping you'll provide your next review of this edition soon (before the promotion discount is over at the end of the month). Question (not related to this edition): do you think the current version of the NRSV will continue to be published (in general, not necessarily by Cambridge) once the revised NRSV is released? My guess is that they will, soon after the revision is published, stop publishing the 1989 NRSV. Probably much like the NIV folks did with their 2011 revision. I have a 1997 copy of this Bible in calfskin, though it has a very stiff card-stock cover. The new printing may be our only chance, at least for a while, of getting all of the Catholic Bible's books in edge-lined goatskin. Your recent posts suggest that Crossway won't yet be publishing the ESV-CE, and Schuyler's NRSV has been put on hold due to the upcoming revision of the translation. ",.My guess is that they will, soon after the revision is published, stop publishing the 1989 NRSV. Probably much like the NIV folks did with their 2011 revision." Recall that when the NRSV was first published, the plan was to discontinue publication of the RSV. Then there was such an uproar over that decision that they reversed it and decided to keep publishing the RSV for as long as there is a market for it, nearly 30 years after that decision, the RSV is not only still in print, but it sells as many if not more copies every year than the NRSV. The question is whether the fans of the NRSV will be so devoted that they will refuse to give up on the 1989 edition or if they switch over. I guess it depends on just how significant the changes between the 1989 edition and the new edition. Thanks! I'm on the fence about buying the goatskin edition and I'm waiting for your next review and photos before I decide. Do you know if any Catholic scholars are involved with the revising of the NRSV? I don’t have any information on who will be on the translation team yet. There will likely be Catholic participation because of the Ecumenical nature of the SBL. Evangelical Bible's e-newsletter says that because of imminent revision, the Schuyler NRSV has been "postponed." The link in the post on this blog announcing the revisions to the NRSV includes a full list of all the scholars involved in the revision.